So I went on my first orginized ride yesterday. I had a lot of fun doing it too. A Local group called the Red Riders apparenlty hosts a Thanksgiving themed Poker run right around this time every year. A friend of mine shot me an email saturday night and let me know about it and invited me to go out and ride with her group, Women in the Wind. I got to ride with a group of wonderful ladies. 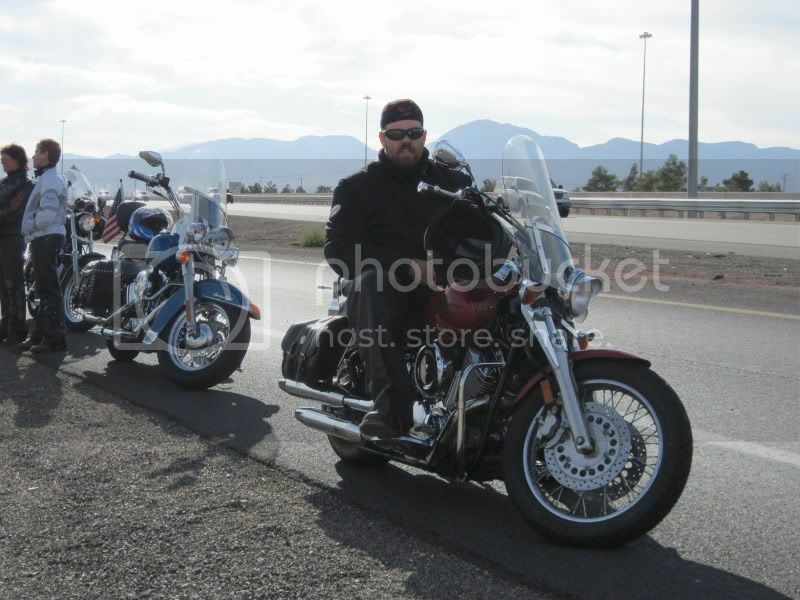 The weather was beautiful, one of the great things about vegas is, it might get cold, but its a dry cold. It wasent even all that cold yesterday either. A little cloud cover in the early afternoon but other wise nice and sunny all day. Ended up not hitting the last couple of stops, My poker hand at that point sucked anyway, 2,3,9. rode straight to the end and had some nice turkey, gravy and mashed potatoes. Despite the incident I had a really good time. It was very intresting to see group riding for the first time. I learned that I am apparently really really gentle with my throttle, the rest of the group would take off from a stop like a bolt and I would have to play catch up. There was one other Yamaha rider in the group and I cant for the life of me remember her name. 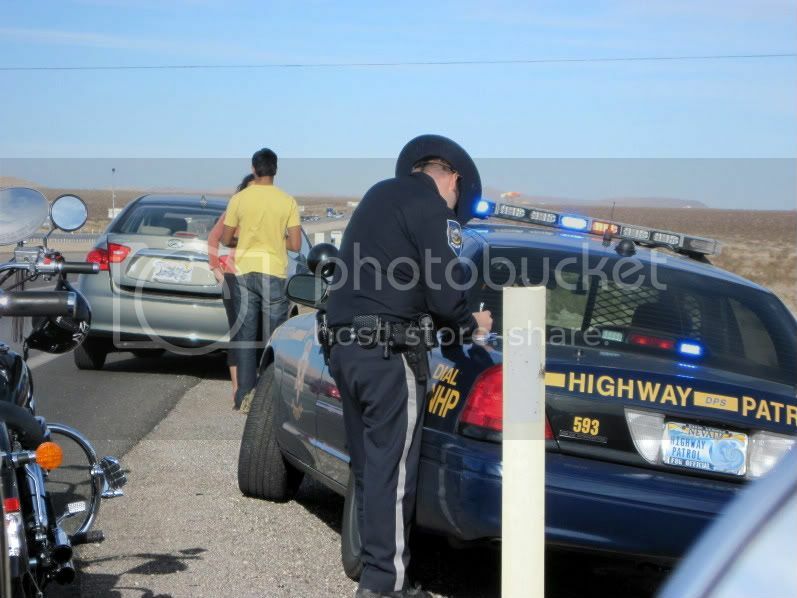 Heres the NHP officer that was helpin us out. Waitin on the side of the road, Made for a good picture though.